Andreas is Chief Executive Officer. Andreas founded GeometryFactory in 2003 in order to commercialize the technology accumulated through a series of European research projects developing the CGAL library. He obtained his PhD in computer science from Ecole des Mines de Paris, while working in the Geometrica research group at INRIA Sophia-Antipolis. 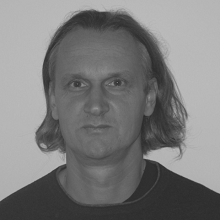 Andreas is involved in the CGAL project since it started in 1996. Laurent is co-author of several CGAL mesh generation packages. He obtained his PhD in computer science from University Paris Diderot (Paris 7). During his PhD studies, Laurent worked within the Geometrica research group at INRIA Sophia-Antipolis. Sébastien is co-author of several CGAL packages and is mainly working on various operations on polyhedral surfaces. He obtained his PhD in Mathematics from University of Burgundy. During his PhD studies, Sébastien worked first within the Geometrica and then ABS research groups at INRIA Sophia-Antipolis. Jane is co-author of the CGAL tetrahedral mesh generator. She obtained her PhD in Computer Science from the University of Nice. During her PhD studies, Jane worked within the Geometrica research group at INRIA Sophia-Antipolis, working on mesh quality improvement. She then spent a year as a post-doctoral research assistant at the Technical University of Vienna. Mael is a CIFRE PhD student working on anisotropic mesh generation under the supervision of Jane Tournois and Jean-Daniel Boissonnat from the Geometrica research group at INRIA Sophia-Antipolis. He obtained his master’s degree in applied mathematics from the Pierre et Marie Curie University (UPMC Paris 6). Simon is specialized in point set processing and surface reconstruction. He obtained his PhD in Computer Science from the University of Nice as a member of the Titane team at Inria Sophia Antipolis. Maxime takes care of various technical tasks, such as ensuring the smooth operation of our nightly tests. He is also responsible for the development and the maintenance of CGAL’s visualization tools. He graduated from the engineering school ESIEA in 2015, and has been working at GeometryFactory as R&D engineer since then. Efi is a freelance collaborator of GeometryFactory and responsible for our customers in Israel. He is co-author of the arrangement and 2D Boolean operations package, and he currently works as freelance software consultant and part-time as researcher at Tel-Aviv University. He obtained his PhD in Computer Science from Tel Aviv University in 2007, and he has worked in several computer graphics related companies.